PARKING: There is a small lot behind the building (first driveway on Mott, on right as you enter from corner of Belden and Mott.) There is also a parking garage across the street and around the corner, across from the Mall, behind the post office. 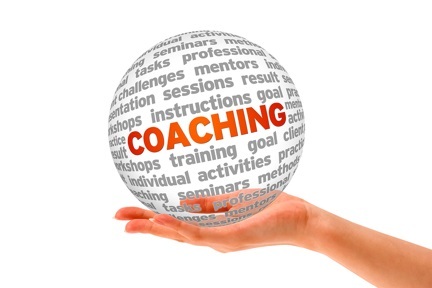 Our group's mission is to share best practices and explore trends and new approaches in the field of coaching within an organizational setting. With more and more work these days being carried out in teams, learning the keys to team dynamics and tools to help these teams work more efficiently is an essential skill set for any practicing coach. Chris Sheridan and Michelle Claffey are Leadership Coaches with extensive corporate experience. They are also being trained in the Corentus Team Coaching model and are currently coaching teams as part of this cutting edge experiential learning program. We have expanded the timeframe to two hours so that we can take a deeper dive into this important topic. Join us to deepen your knowledge and build your toolkit! Speakers: Michelle Claffey and Chris Sheridan will lead us through an informative presentation with an interactive activity and discussion. Michelle is an ICF-certified executive leadership coach with extensive corporate experience who partners with executives and teams and specializes in creating customized coaching engagements to enhance leadership and team effectiveness and grow business outcomes. Michelle supports leaders and teams to accelerate development and impact by expanding agility, sense-making, perspectives, and innovation within the ever-changing systems in which they lead and operate. Chris is a coach, educator and storyteller focused on how companies, teams and executives are re-thinking, re-inventing and seizing new opportunities due to the changes brought on by technology. A former journalist and media executive, he is now a Professor of Practice at Wake Forest University where he focuses on the Sports Media Industry and on Digital and Social Media. As President of Sheridan Strategic Partners, he works with Teams and Executives to help them find, craft and tell their own unique story and unlock their full potential. Please RSVP by May 30 to reserve your spot. Note: Chapter Members must login first for the system to recognize you as a member. These events are sponsored by ATD Southern Connecticut Chapter (ATD SCC) and are open to all interested practitioners. There is no cost for participation in the Coaching Communities of Practice for members of this chapter.